John Corigliano continues to add to one of the richest, most unusual, and most widely celebrated bodies of work any composer has created over the last forty years. Corigliano's scores, now numbering over one hundred, have won the Pulitzer Prize, the Grawemeyer Award, five Grammy Awards, an Academy Award, and have been performed and recorded by many of the most prominent orchestras, soloists, and chamber musicians in the world. Attentive listening to this music reveals an unconfined imagination, one which has taken traditional notions like "symphony" or "concerto" and redefined them in a uniquely transparent idiom forged as much from the post-war European avant garde as from his American forebears. Perhaps one of the most important symphonists of his era, Corigliano has to date written three symphonies, each a landscape unto itself. Scored simultaneously for wind orchestra and a multitude of wind ensembles, Corigliano's ambitious, extravagant, and grandly barbarous Symphony No. 3: Circus Maximus (2004) was commissioned by the University of Texas at Austin Wind Ensemble, who gave its New York premiere in 2005 at Carnegie Hall and presented it on their 2008 tour in Europe. Circus Maximus has since been performed by over 60 different ensembles throughout North and South America, Europe, Asia and Australia. Naxos released a stereo recording of Circus Maximus in 2009, and chose the work as the debut recording in its Blu-Ray format in 2010. Symphony No. 2 (2001), a rethinking and expansion of the surreal and virtuosic String Quartet (1995), was introduced by the Boston Symphony Orchestra in 2000 and earned him the 2001 Pulitzer Prize in Music. Symphony No. 1 (1991), commissioned by Meet the Composer for the Chicago Symphony Orchestra when he was composer-in-residence, channeled Corigliano's personal grief over the loss of friends to the AIDS crisis into music of immense power, color, drama, and scope: performed worldwide by over 300 orchestras and recorded three times, this symphony earned him the prestigious Grawemeyer Award for Music Composition. Corigliano's theatricality, at once thoughtful and innate, has vivified his eight concerti; his most recent concerto is Conjurer (2008), for percussion and string orchestra. Commissioned by an international consortium of six orchestras for Evelyn Glennie, Conjurer was introduced by the Pittsburgh Symphony in the 2007-2008 season, when the orchestra designated him its Composer of the Year. Conjurer is also performed frequently by soloist Martin Grubinger. For Joshua Bell, Corigliano composed Concerto for Violin and Orchestra: The Red Violin (2005). Developed from the themes of the score to François Girard's film of the same name, which won Corigliano an Oscar in 1999, Concerto for Violin and Orchestra was introduced by the Baltimore Symphony Orchestra under Marin Alsop and recorded by them in 2007. Vocalise (2000), a single-movement wordless concerto for voice, orchestra, and electronics, was commissioned for the millennium by the New York Philharmonic; Kurt Masur led Sylvia McNair in the work's premiere; it was later performed and recorded by Hila Plitmann and the Albany Symphony. Guitarist Sharon Isbin and the St. Paul Chamber Orchestra under Hugh Wolff introduced Troubadours in 1994. Flutist James Galway and the Los Angeles Philharmonic under Myung-Whun Chung first performed Pied Piper Fantasy in 1982. Corigliano's kinetic and elegant Piano Concerto (1967), in which Victor Alessandro led Hilde Somer and the San Antonio Symphony, was his first essay in the genre, but the composer credits his first two concerti for solo winds with changing both his art and his career. It was during the composition of the Oboe Concerto (1975: Humbert Lucarelli, oboe; Kazuyoshi Akiyama, American Composers Orchestra) and, especially, the Clarinet Concerto (1977) that he first used the "architectural" method of composing which empowers him to forge a strikingly wide range of musical materials into arches of compelling aural logic. The premiere of the Clarinet Concerto, with Stanley Drucker and the New York Philharmonic under Leonard Bernstein, was by contemporary accounts the musical event of the year — a status since confirmed by numerous, international performances and an established place in the contemporary repertoire. New string orchestra arrangements created by the composer of Fancy on a Bach Air and the string quartet, Snapshot: Circa 1909, premiered in 2011. In 2015, the Houston Symphony Orchestra presents the world premiere of Corigliano's orchestral arrangement of Stomp. 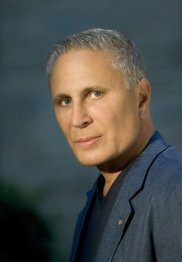 While he has composed three large-scale works for voice and orchestra, Corigliano's lone opera to date is The Ghosts of Versailles (1991), which counterposes the fiction of Mozart and Beaumarchais with the Reign of Terror to create a richly multilayered meditation on the need for, and costs of, personal and social change. The Metropolitan Opera's first commission in three decades, The Ghosts of Versailles succeeded brilliantly with both critics and audiences; the season it opened, Corigliano was elected to the American Academy and Institute of Arts and Letters, and Musical America named him its first-ever "Composer of the Year." After triumphs in Chicago, Houston, and Hannover, Germany, The Ghosts of Versailles returned to the American stage in a new reduced orchestration in June 2009, premiered by the Opera Theatre of Saint Louis, followed shortly by performances at Ireland's Wexford Festival (2009), the Aspen Music Festival (2010), Manhattan School of Music (2012), and Wolftrap Opera (2015). The Metropolitan Opera released a DVD of their production as part of the James Levine 40th-Anniversary limited edition series in September 2010. Los Angeles Opera received wide acclaim for their stunning new production in 2015, conducted by James Conlon, staged by Tony Award-winning director Darko Tresnjac and starring Patricia Racette, Christopher Maltman and Patti LuPone. A CD of this production was released by Pentatone to wide acclaim in 2016. Corigliano's other major vocal works show a comparably lavish and powerful sense of vocal theatre. Mr. Tambourine Man: Seven Poems of Bob Dylan (2000) boldly refashions texts by the iconic songwriter into a compelling monodrama, by turns savage, yearning, and hallucinatory; begun as a song cycle for piano and soprano in 2000, Corigliano re-scored the piece for full orchestra and amplified soprano in 2004. Its Naxos recording, on which JoAnn Falletta leads the Buffalo Philharmonic, was released in September 2008 and garnered Grammy awards for both the work itself and for its leading interpreter, the soprano Hila Plitmann. Mr. Tambourine Man has also been arranged for wind ensemble and in a sextet version for the ensemble eighth blackbird. A Dylan Thomas Trilogy (1960, rev. 1999) revisits and combines three of Corigliano's earlier settings of this poet — Fern Hill (1960), Poem in October (1970), and Poem on His Birthday (1976) — with the late Author's Prologue into a "memory play in the form of an oratorio." Scored for boy soprano, tenor, baritone, chorus, and orchestra, A Dylan Thomas Trilogy was recorded in spring 2008 with Leonard Slatkin conducting Sir Thomas Allen and the Nashville Symphony and Chorus; it was released by Naxos in November 2008. Corigliano's newest large-scale work for voice and orchestra is One Sweet Morning, premiered by the New York Philharmonic with mezzo-soprano Stephanie Blythe in September 2011. A co-commission with the Shanghai Symphony Orchestra, One Sweet Morning is a four-movement song cycle on texts by Czeslaw Milosz, Homer, Li Po, and E. Y. Harburg that reflects on the presence of war, its anguishes throughout history, and ends with the dream of a world without it. In 2012 Sasha Cooke performed the Asian premiere with the Shanghai Symphony conducted by Long Yu. Corigliano's earliest songs form the cycle The Cloisters (1965), written with William M. Hoffman, who also wrote the libretto to The Ghosts of Versailles. His latest songs are a trio of cabaret songs for voice and piano set to the lyrics of composer-librettist Mark Adamo — End of the Line, Marvelous Invention, and Dodecaphonia (or, They Call Her Twelve-Tone Rose) — first introduced by William Bolcom and Joan Morris — and also known collectively as Metamusic. Corigliano is one of the few living composers to have a string quartet named for him: its young players banded together after an Indiana University performance of his String Quartet (1995), which Corigliano wrote as a valedictory commission for the Cleveland Quartet and which won him that year's Grammy Award for best contemporary composition. His first chamber score, Sonata for Violin and Piano (1964), is now a standard of the American violinist's repertory, having been performed hundreds of times and recorded dozens since the Spoleto Festival awarded the piece first prize in its inaugural Chamber Music Competition. His newest are Stomp, for solo violin, commissioned for the International Tchaikovsky Competition; and Winging It: Improvisations for Solo Piano (2008), introduced by Ursula Oppens in May 2009. His keyboard catalogue the virtuoso showpieces Etude Fantasy (1976) and Fantasia on an Ostinato (1985) for solo piano, and the unique Chiaroscuro (1997), for two pianos tuned a quarter-tone apart. Like the version of Poem on His Birthday for tenor and eight instruments (1970), Corigliano casts the following orchestral pieces for chamber ensemble with no loss of force: Phantasmagoria (2000) revisits themes from The Ghosts of Versailles for cello and piano; Fancy on a Bach Air (1996) varies Bach for solo cello. Corigliano serves on the composition faculty at the Juilliard School of Music and holds the position of Distinguished Professor of Music at Lehman College, City University of New York, which has established a scholarship in his name. Born in 1938 to John Corigliano Sr., a former concertmaster of the New York Philharmonic, and Rose Buzen, an accomplished pianist and educator, Corigliano has lived in New York City all his life. Presently he and his husband, Mark Adamo, have divided their time between Manhattan and Kent Cliffs, New York. His music is published exclusively by G. Schirmer. For specific inquiries about this composer, please contact Rachel Sokolow, Promotion Director at rachel.sokolow@schirmer.com or call 212-254-2100.